These treatments offer solutions to frown lines, crow's feet and the sagging neck. Muscle relaxants have been used for years to treat muscular problems including eyelid spasm and facial spasms. The ageing face has wrinkles and furrows which may develop as a result of weakened Collagen in the skin from sun exposure and gravity, or due to excess facial muscle action on the skin. A highly popular and well known cosmetic treatment at our clinic in Wootton Bassett, Swindon reversibly paralyses muscles ('Brow-freezing') to smooth wrinkles and prevent deeper lines forming. It can therefore be used to treat such facial lines caused primarily by the action of the muscles on the skin. Ideal areas for treatment are those wrinkles caused by muscles that have no significant function such as the deep creases between the eyebrows, crow's feet and forehead lines. Treatment can also be used to smooth the skin of the neck and décolletage. 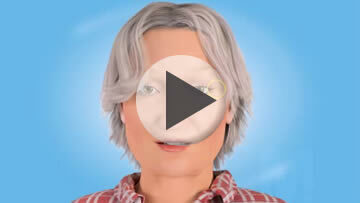 How long do BOTOX® injections take and is it painful? Good results can be obtained after a single injection and the effect generally lasts between 3 and 4 months. The procedure is simple to perform and most patients find the injections only cause a mild sting lasting seconds. Repeat treatments are usually needed approximately every 3-4 months over a 12 month period. It is encouraging to note that clinical trials report that some patients who have had treatment over 12 months only require further treatments once or twice the following year. It is important to be aware that it takes between 5-7 days for the treatment to work. The doses of botulinum toxin used in aesthetic applications are very small and the risks of adverse effects related to its mechanism of action are consequently low. To date approximately 2.5 million users of BOTOX® cosmetic treatments were given across five key European countries (UK, France, Italy, Spain, Germany) since the date of launch for each country. Botulinum toxin style A injections can be performed in a clinical setting with a high degree of safety and minimal discomfort. BOTOX® should only be administered by doctors and nurses with appropriate qualifications and expertise in this treatment. 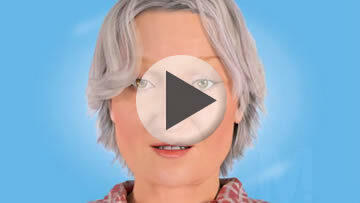 As we age, wrinkles, lines, folds - whatever you want to call them appear on our faces. This is caused by a number of factors, from the environment to genetics. 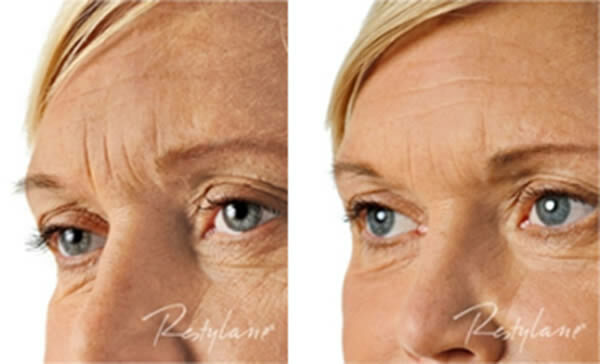 Restylane fillers are designed to help smooth away wrinkles and lines, by adding volume under your skin where it is needed most. Dermal fillers can also be used to restore volume to sunken cheeks and give you that kissable smile you'll love. The filler product is specifically formulated to boost volume in a targeted layer of skin to give maximum affect. Administered by our qualified e practitioner, the fillers range are used to provide non surgical face lift to help you reach your full potential. Juvéderm® ULTRA is a range of smooth consistency gels made of hyaluronic acid (HA), a naturally occurring substance in our skin that helps to hydrate and adds volume. It instantly smoothes away facial wrinkles and folds and restores the skin’s volume; it can also be used to redefine lips. It is a smooth consistency gel that flows easily into the skin for a smooth, natural look and feel. This product is unique because it contains Lidocaine (a built-in anaesthetic) which makes the injection process a more comfortable experience. No allergy/skin test is required as the products are of natural origin. Results are instant with minimal down time. As with all dermal fillers, how long the results of the treatment last varies from patient to patient and is due to a number of factors. However, results usually last in excess of 6 months and in some cases, can be up to a year. To retain the results, we would recommend maintenance treatments. Juvéderm® ULTRA - Comes in three formulations for more natural-looking, customisable results. Juvéderm® ULTRA 2 - Erases moderate lines, especially those around the lips and corners of the eyes and those very close to the surface of the skin. Juvéderm® ULTRA 3 - Smoothes wrinkles between the nose and corner of the mouth and around lips. It can be used very subtly to plump out lips in order to maintain a youthful smile. Juvéderm® ULTRA 4 - Works on the most noticeable folds and lines, and improves the contour of the face. Course of three Dermaroller treatments.